Healthy Aging Medical Centers in New Jersey now offers comprehensive primary care as well as preventative medicine and wellness management services for adult patients in Greater New Jersey and the surrounding areas of Northern New Jersey including: Essex County New Jersey, Morris County New Jersey, Passaic County New Jersey and Union County New Jersey and the surrounding North New Jersey areas.. The clinic offers a concierge medical approach, and the clinic’s model of care is to provide patients with the highest quality of individualized care that meets their schedule. This unique care gives patients 24/7 access to the doctor, including his personal cell phone number. The program allows patients to have unlimited office visits and full access to their physician. Patients will not be charged for office visits no matter how often they need to come. As a part of the comprehensive program, patients can also have a full spectrum of tests that analyze mineral and nutrient deficiencies, certain genetic markers that may influence illnesses, and hormone levels. The clinic’s comprehensive programs can help women and men improve their health, quality of life, and overall vitality. The program includes a once a year comprehensive wellness assessment, which includes a physical examination, EKG reading, lung study, and chest XRAY. The initial consultation will involve a review of patient’s entire medical history, discussing health goals, and deciding which labs are necessary to use for the selection of a treatment protocol. After the initial consultation, women and men will know exactly how to optimize their hormones, balance their diets, and reduce vitamin or mineral deficiencies. Women and men can benefit from the clinic’s safe and non-invasive therapies, and they can receive guidance as to which steps to take towards greater health and wellness. Any follow up visits that are required can be easily scheduled with same or next day appointments. These appointments will not be rushed, and the doctor will ensure that the patient’s questions are answered and individual needs are met. Patients do not typically have to wait in the office, and the clinic provides an out of town coordination of care. If a specialist is needed, patients will be referred to one of the clinic’s network doctors for a marked reduction in that physician’s consultation fee and services. Another aspect of the program makes sure that hormones are optimized, which helps patients that are suffering from hormone decline and that want to lose weight. Many patients try diet plans and cannot lose weight because they have sub-optimal thyroid or testosterone levels. For this reason, the doctor will check hormone levels and may prescribe bioidentical hormones. The clinic’s program offers obese patients customized meal plans can be delivered directly to their homes, or the doctor will provide a comprehensive meal planning guide that has recipes for patients to make themselves. Patients can also get ongoing nutritional coaching to make sure they are staying on track. The physician may choose to run genetic testing to determine the most appropriate nutrition program because research shows that patients who eat a genetically appropriate diet lose twice as much weight. These services can be a part of the comprehensive wellness program. 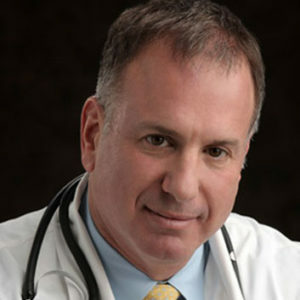 The clinic also offers executive health care plans, which include a coronary calcium score test using a CT scan, full body scan, complete nutrition blood test to determine any nutrient or vitamin deficiency, carotid intima media thickness test to determine and diagnose early heart disease, and custom IV vitamin plans. All of this testing is scheduled the same day, and the fee for this complete service is 3500 dollars. The Executive Health Care Plan also has an advantage for business owners because Healthcare law allows direct primary care to count as ACA-compliant insurance, as long as it is bundled with a wraparound catastrophic medical policy to cover emergencies. When patients join Healthy Aging Medical Center’s concierge wellness practice there is an initial set up fee of 599 dollars which includes the comprehensive wellness assessment, physical exam, EKG, lung study, chest x-ray, and lab fee for all blood work. Patients will be billed 150 dollars a month per adult or 200 dollars a month a couple for continued services. The Executive Plan is 299 dollars and includes many upgrades. Any additional lab fees will be billed between 100 and 300 dollars depending on the complexity of the test. All blood is drawn at the lab corp. most convenient to the patient’s home or work. The clinic has also negotiated discounted prices for medications from local pharmacies. XRAYs can also be performed at one of the clinic’s offices for a marked reduced discount. The clinicians at Healthy Aging Medical Centers in New Jersey will fully analyze blood work, discuss dietary and exercise habits, and assess different bodily systems in order to determine the correct treatment plan. Testing for genetic markers that raise the risks for cancer, heart disease, and obesity may also be assessed as a part of the patients’ wellness plan. Other services such as IV vitamin treatments, testing for vitamin and mineral deficiencies or food allergies, and bioidentical hormone replacement therapy may also be used to help relieve the effects of ill health and improve overall levels of wellness. Many women and men in New Jersey and the surrounding areas serving all of Northern New Jersey including: Essex County New Jersey, Morris County New Jersey, Passaic County New Jersey and Union County New Jersey and the surrounding North New Jersey areas. Many local New Jersey patients have taken advantage of the clinic’s comprehensive health programs, and they have been able to live happier and healthier lives as a result. For men and women that want to learn more about the Healthy Aging Programs at Healthy Aging Medical Centers in New Jersey, call the clinic today at 973.435.0433.